Since the release of “Midnight in Paris” there has been a stream of fictionalizations of the fabled figures of the Roaring Twenties: “The Paris Wife,” about Hemingway’s wife Hadley, “Z,” Zelda’s story from her point of view, Lee Smith’s “Guests on Earth” with Zelda as mental patient at Highlands Hospital in Asheville, and a half dozen more. 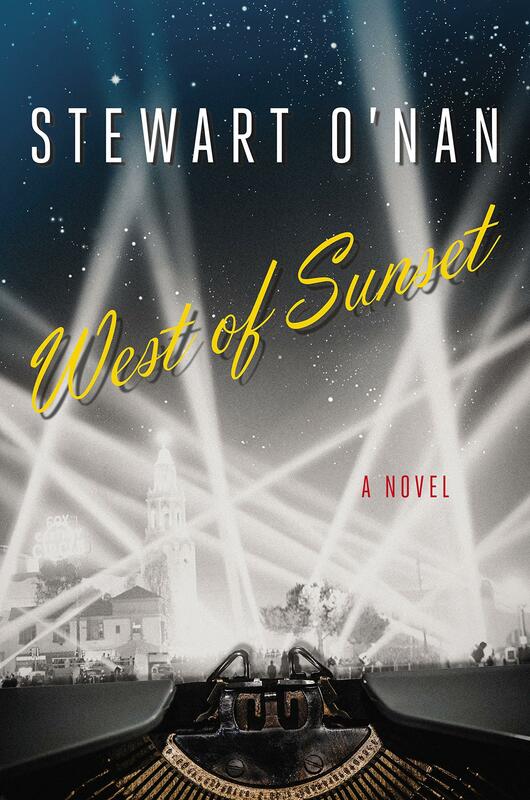 Now we have “West of Sunset,” Stewart O’Nan’s novel of Fitzgerald’s last three years in Hollywood, until his death on Saturday, December 21, 1940. O’Nan is an accomplished, professional writer with 14 novels under his belt so the reader can properly assume skillful storytelling and graceful writing. He has the advantage here of a wildly popular, practically no-fail subject. Scott and Zelda are fixed forever in the pop culture pantheon. The public never tires of the stories of their beauty, talent, charm—their rise, wild antics and tragic fall. But what a familiar subject gives with one hand, it takes with the other. Few readers of “West of Sunset” will not know how it ends. Restricted by the biographical facts, O’Nan is forced to sacrifice tension, plot twists, suspense. The conventional historical novel—if indeed we can call a novel in which most of the characters are alive at the same time as the reader, historical—is usually told not from Napoleon’s point of view but rather from the point of view of Napoleon’s valet. This gives the author latitude. The valet may not understand everything happening around him, may have attitude—after all, no man is a hero to his valet—and can comment upon the action. O’Nan chooses instead a limited third-person narrative. He uses Scott’s point of view to tell of his disastrous journey with Budd Schulberg to the Dartmouth Winter Carnival and of his anxiety-filled encounter in Hollywood with Hemingway, his old buddy who is now so rich and famous. At the studio, the author of “The Great Gatsby” is disrespected by his vulgar bosses who have hired him to work on mundane pictures and then make them even more banal than they needed to be. Many readers will know: Fitzgerald is in Hollywood because he is broke and struggling to pay Zelda’s medical bills and his daughter’s educational expenses, with his health, vitality and morale all sinking. He feels himself to be a failed husband, poor father, washed-up writer. Daughter Scottie makes a couple of stressful visits to Fitzgerald in Hollywood and, ill-advisedly, Scott takes Zelda out of Highlands Hospital for vacations to Charleston, Norfolk, Myrtle Beach and Cuba. These excursions are catastrophes. Removed from hospital routine, Zelda regresses into madness and Scott escapes into drunkenness. There are some nice supporting characters in the Hollywood scenes: Humphrey Bogart, the wickedly clever Dorothy Parker, Robert Benchley. Sophisticated, witty remarks and entertaining anecdotes are always welcome, but O'Nan’s real achievement in “West of Sunset” is not the story, exactly. O’Nan gives us, convincingly, Fitzgerald’s state of mind: his remorse over past foolishness, his determination to succeed at screenwriting, even though it did not come naturally to him, his desperate need to redeem himself as a fiction writer and to create for his life, in the theatrical sense, one more act. We see him absorbing, day after day, the feel, color, mood of studio life, the telling details for the Hollywood novel which was to launch his comeback. “The Last Tycoon” had as protagonist the bold, innovative producer Irving Thalberg, who had died in 1936 at 37 years old and whom Fitzgerald admired hugely. If he could just get it finished, Scott believed, “The Last Tycoon” would be his masterpiece. It would have been, too!